oh August 8th-10th, be here now! Not that I am not enjoying the snow because i am --- but i want to go to this show now! I am incredibly excited about the lineup. Some of my favorite acts mixed in with almost all of my favorite bands to dance with. I hope CSS makes it since they were detained from the last festival i was supposed to see them at (ahem, Lola!). All the details of the event are listed below with tickets going on sale NEXT FRIDAY, FEBRUARY 29th at 12:00 PM via ticketmaster. "Single day passes are $89 and three-day passes are $258. A portion of the event's proceeds will benefit "Friends of Liberty State Park." Friends of Liberty State Park is an open space advocacy volunteer organization dedicated to the park's future as a free, green and non-commercial, urban waterfront oasis." The ALL POINTS WEST MUSIC & ARTS FESTIVAL will host more than 40 acts on three stages throughout the 80-acre historic location with panoramic views of the Statue of Liberty, Ellis Island and the Manhattan skyline. ******LINE-UP**** (as of 2/21) is as follows: Radiohead, Jack Johnson, Underworld, Kings of Leon, Rodrigo y Gabriela, Cat Power, The Roots, The New Pornographers, Youssou N'Dour, Animal Collective, Andrew Bird, Michael Franti & Spearhead, Metric, CSS, Girl Talk, Chromeo, The Go! Team, Amadou & Mariam, The Black Angels, Sia, The Felice Brothers, K'Naan, Jason Isbell, Grace Potter and the Nocturnals, Alberta Cross, The Virgins, Black Kids, Mates of State, Duffy, Forro in the Dark, Nicole Atkins, Juana Molina, Little Brother, Rogue Wave, Neil Halstead and Your Vegas. "The ALL POINTS WEST MUSIC AND ARTS FESTIVAL is being created in a "green" festival environment. Initial "green" plans include on-site parking for carpoolers only and ample public transportation to and from the site. Ferry service will be available from Manhattan directly to the festival grounds; exact details with ferry schedules will be announced at a later date. Additionally, light rail service via NJ Transit will run directly to the festival grounds. Meanwhile, a limited supply of on-site parking is reserved exclusively for carpoolers. Carpool parking passes are available either as single days for Saturday and Sunday or as a three-day pass for the weekend. Note: four concert tickets are required in order to qualify for carpool parking." Adam Green at Town Hall! You might want to keep an eye out for tickets going on sale this Friday, February 22nd at 12:00 PM for Adam's upcoming show at Town Hall riding on the heels of all this Juno madness. 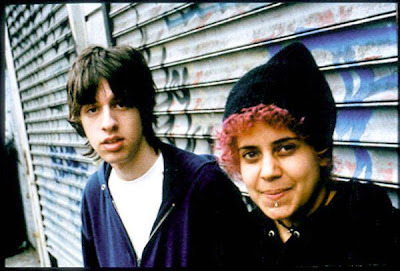 Kimya Dawson is playing a show at Webster Hall on April 6th. Tickets are already on-sale for her date. Adam is one of my favorite artists to see live from his sarcastic stage banter to his geeky dance moves his scene cannot be beat, or missed! 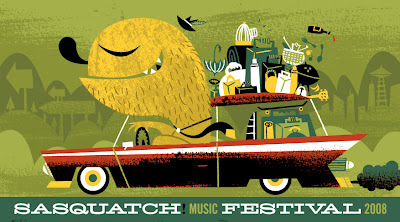 I am still kicking myself for not heading out to last years Sasquatch Festival with the best festival line up of 2007. (at least i think so...) So I am waiting and watching for details for this years events to unfold. You should as well. If they follow suit last year they hosted Arcade Fire, Bjork, Ghostland Observatory, Grizzly Bear and Neko Case just to name a few (of the ones i wanted to see the most!). I am wondering if Radiohead or R.E.M. will be the headliners this time around. I definitely would not miss that! And New York City, SXSW, Seattle, Chicago... I have been waiting to see these four bright-eyed mop-topped boys from Loughborough, England for over a year! 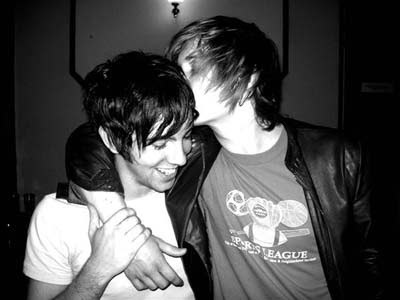 While working hard finishing up their debut release they impressed by the likes of Radio 1, NME and Rollingstone Magazine with Politics and Cigarettes, their first single. 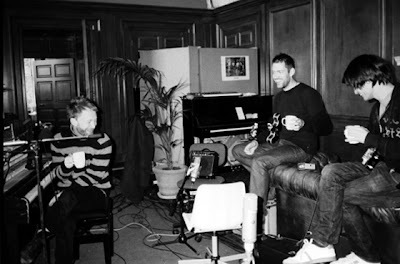 2008 is scheduled to bring the boys even more acclaim and attention with upcoming tour dates during SXSW that will allow George Guildford (guitar/vocals), Thom Mackie (drums), Craig Monk (guitar), and Andy Wells (bass) to gain a taste of the stateside crowds. They are playing NYC at The Canal Room on April 1st with The Soho Dolls and Robots in Disguise tickets are on-sale now! Lucky us! I admire Kate for expanding some of her live show with covers from artists that she obviously admires and adores. Her latest victims are The White Stripes and whereas she has big shoes to fill with the likes of Jack and Meg White I think she holds her own. She has just announced another USA tour, dates are listed below and tickets for the New York show are already onsale. I had been looking forward to this week for a long time as my calendar began to fill up with some of my favorite live acts from 2007. The Foals, Yeasayer, MGMT, Band of Horses, Blue Scholars...very very exciting. 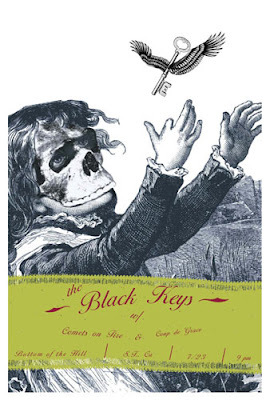 Then this morning after I settled into being at work after three nights of late music I checked out the new Black Keys track, Strange Times. Their upcoming album 'Attack & Release' will be out on April 1st via Nonesuch Records. I hope everyone enjoyed their weeks as well...it's the weekend! 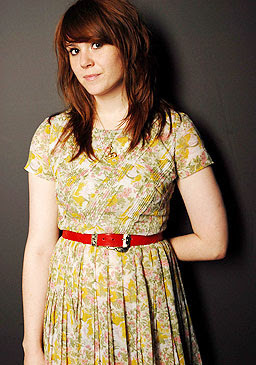 Kate Nash is a fan of Black Kids--who will be returning to NYC in MAY! Also Studio B announced that The Black Kids will be playing a show at the Williamsburg venue on May 13th so stay tuned for ticket news. YEah, i for one am very curious to check them out. You can check out the review I wrote for KEXP here. I am severely missing Jermaine and Bret and well, this is my absolute favorite clip from their incredibly brilliant series. Plus, it is snowing and well...it was snowing in this episode. Yep, this is about where my mental level is right now. Thanks to a good friend of mine I was just laughing at my desk in the middle of an incredibly insane day. Just what i needed. Thanks R*Fuss. Enjoy. I am so excited for tomorrow night! The Foals are returning to the city and playing a show at Bowery Ballroom (with Team Robespierre and The Teeth)...still yet to be sold out?! CRAZINESS. Their second show within the area is Wednesday, February 13th in Brooklyn at the Silent Barn. I keep waiting for the band The Shackeltons to blow up. Especially here on the east coast for these five local lads from Chambersburg, PA. Their sound is infectious and loud while their live performances are packed with energy and exhibit many hours of devotion and practice. They have been paying their dues playing various dates across the country for the past year including visits to the city for CMJ and upcoming plans for this years SXSW. I have a feeling 2008 holds some very good things for them, since their music completely deserves some attention. Hopefully they will decide to come back to New York and add to the already lively looking Spring calendar. In the meantime my favorite blog, My Old Kentucky Blog highlights them today with two songs for you to discover and covet. What is the best news you could get on a cold monday morning?! 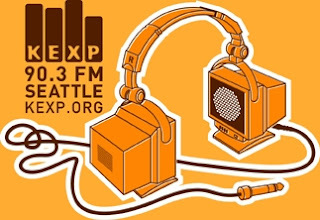 KEXP and Radio New York liberate listeners from the norm SEATTLE – KEXP, Seattle’s listener-supported radio station, and Radio New York 91.5 FM, the city’s public radio station, announced today that they are joining forces to create Radio Liberation, an unprecedented partnership dedicated to listeners and independent music. 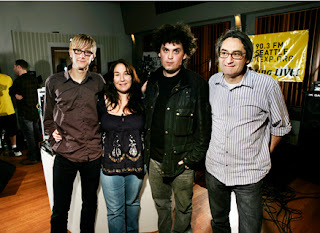 Beginning on March 24, 2008, Radio Liberation will air KEXP-produced programming Monday through Friday on Radio New York 91.5 FM. The programming will feature a three-hour drive-time eclectic music show followed by three simulcast hours of The Morning Show with John Richards, a nightly world music show and a weekly music variety show hosted by KEXP DJ and senior director of programming Kevin Cole. “This partnership will not only give greater voice to artists from the Northwest, New York and around the world, it will bring music that matters into the lives of more listeners than ever before,” said Tom Mara, KEXP executive director. 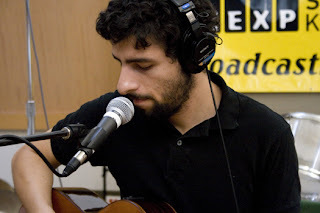 KEXP invited over 300 artists into their studios in 2007 ALONE for live performances to share with their listeners like YOU! As part of the partnership, KEXP and Radio New York will produce hundreds of live performances a year. With increased access to New York bands and touring artists, Radio Liberation will also bring additional “in-studio” performances to listeners on both coasts. “We have always been about the listener and the artist,” said KEXP DJ John Richards. “We all share a passion for music.” For more information about Radio Liberation, visit www.kexp.org. ABOUT KEXP PUBLIC RADIO KEXP is an influential, non-commercial radio station based in Seattle and supported through financial contributions from listeners and businesses worldwide. Over the last three decades, KEXP has built a reputation as a champion of new and emerging artists and musical forms. Today, KEXP programs a rare mix of music spanning multiple genres and the station brings listeners more than 380 live, in-studio performances each year. collaboration. The University of Washington’s information technology group provides KEXP with the development and application of streaming services, technical expertise and other relevant technology to extend the music experience. ABOUT RADIO NEW YORK / NYC MEDIA GROUP: Launched in January 2005, NYC Media Group is the entity responsible for managing the media assets of the City of New York including one broadcast television channel and five cable television channels known collectively as NYC TV; one broadcast radio station, Radio New York (Radio New York 91.5 FM); as well as production and syndication arms that produce and distribute New York City-centric content all over the world across multiple platforms. Over the past three years, NYC TV has won 14 New York Emmy Awards and been nominated 34 times. 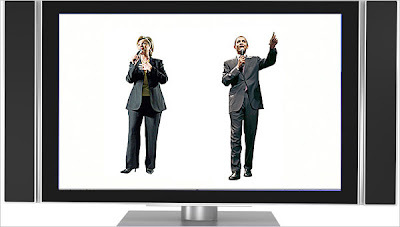 The network has also been awarded 14 Telly Awards for its outstanding content. Building on its success in television, NYC Media Group is now transforming Radio New York (Radio New York 91.5 FM). While keeping its commitment to airing diverse ethnic and cultural programs, Radio New York looks to attract new listeners with a slate of innovative talk and music programs. Radio New York’s strengthened lineup will further complement its sister television stations that are part of NYC TV. To learn more about Radio New York and NYC Media Group, please visit www.nyc.gov/radio. 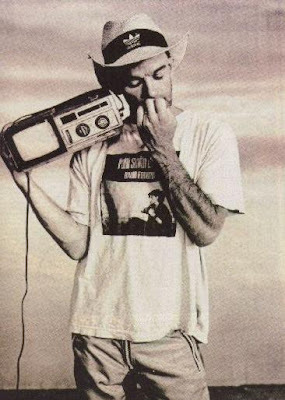 Eleven years ago I was madly and deeply in love with R.E.M. and I still am. Enjoy. Happy Friday! Are Jaime's favorite new band, or at least one of the many. When Jaime gets excited about these things those around him tend to notice so I decided to do some homework this week. The Dodos were enjoyable straightaway. I definitely like the low level of production. The tacktile feeling of the drum sticks clicking in the background and the rough edges will be enjoyable for those who like their rock and roll with healthy doses of easy going melodies and cleverly calculated harmonies. On my favorite track, Men Logan Kroeber awards his listeners with a feverishly paced race on his kit and Meric Long snares you with cheeky lyrics that will leave you eagerly awaiting their upcoming engagement at the Mercury Lounge. Check out a complete list of tour dates below! For delving into that on going debate about what is the difference between a hipster and someone who is just plain ole' indie. "Hipsters fix up and look sharp. Their hair is meticulously messy. Sometimes they sport tattoos. They are music snobs. 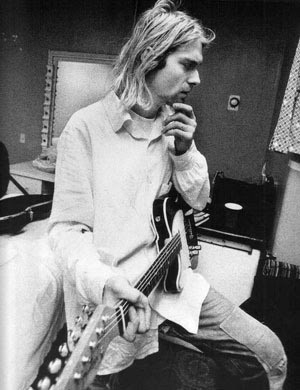 Some manage to look bored no matter what is happening around them." Baltimore Sun Now I can sleep at night! Happy Thursday- enjoy the warm weather while it is still here...in FEBRUARY! OFFICIALLY back in business...oh dear blog, I MISSED YOU! And you dear dear reader if you stuck with me...here are some goodies I have been LOVING lately, enjoy! You might be expecting me to start blubbering on and on about Adele but I am most excited about the lovely lady Florence and The Machine. Friend to Dev Hynes of Lightspeed Champion (a.k.a. 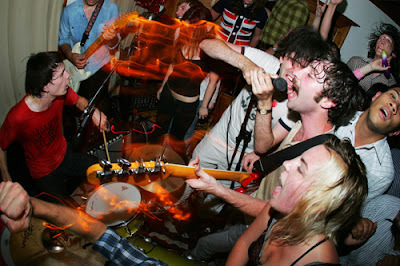 ex-Test Icicles member...yeah, remember them?) friend to Kate Nash(expect many comparisons to her fellow country-mate and songbird to pop up on the Blogs) and definitely a voice to reckon with. At least I reckon. Like any good female singer she has enough natural beauty and allure for all of the boys in her listening audience to completely over look the fact that she is talking about how badly you all seem to muck things up---in a voice drowning with spirit and spiked with a blue'sy influence that I think Amy Winehouse would be proud of if she were to sober up. (One should never lose hope, right?!) Her track, Girlwith1Eye is my personal favorite and I invite you to decide who she reminds you of, or just simply enjoy her, I know I do! Springtime in the city...the birds are chirping before being scared off by the rats or the pigeons or the annoying dogs that look like rats OR pigeons. The trees prepare for beautiful new layers of florals or fauna. Everyone seems to magically become nicer versions of themselves with less to worry about and more time for drinks and laughter. But my most favorite thing about springtime in the city is that bands usually route through our little town after they venture up from steamy SXSW chaos before heading full tilt into the festival season. 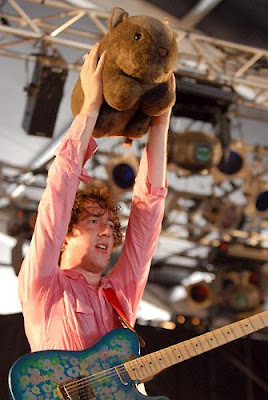 Lucky for us The Wombats are making the journey along with many more bands to be written about in the upcoming weeks. 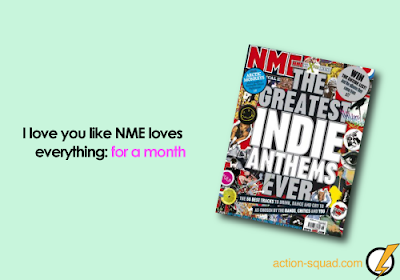 I was lucky enough to check out the Wombats last year during an NME sponsored showcase at the Annex and enjoyed every sugar coated, pop soaked second. 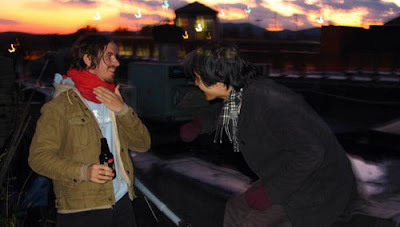 They were youthful, lively and boy'ish in all of the right ways. 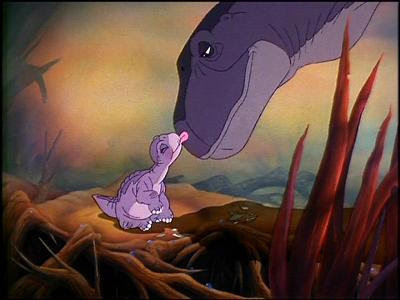 March 17th at the Annex kiddies...you know where i'll be! As long as democrats vote tomorrow, I don't think it does. Although it did make me chuckle. Those clever NYTimes writers...Thanks for making my Monday that much more entertaining! Two of my favorite bands are stopping by today to play for the KEXP listening audience which hopefully includes yourself! Check it out here!